Anna Louise Stiggelbout has produced numerous translations for major Dutch publishing houses and periodicals of works by authors such as Mian Mian, Chen Cun, Zhu Wen, Sheng Keyi, Bi Feiyu and others. She has received two working grants from the Dutch Foundation for Literature for those translations. Currently working on I’m not Pan Jinlian by Zhenyun and Running through Zhongguancun by Xu Zechen. She has worked as translator Chinese-English for a major English-language newspaper (2007-2008). 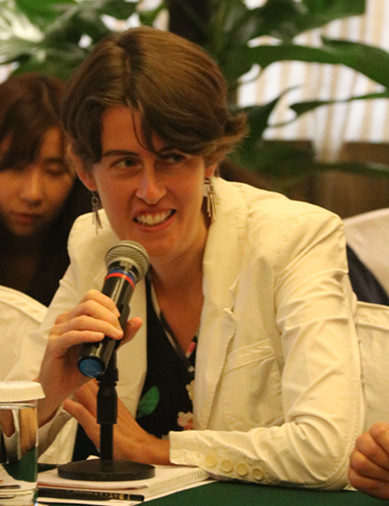 She moved to Beijing in 2010 to work for the Netherlands Embassy in Beijing, first as a locally hired policy officer, but soon as a diplomat.